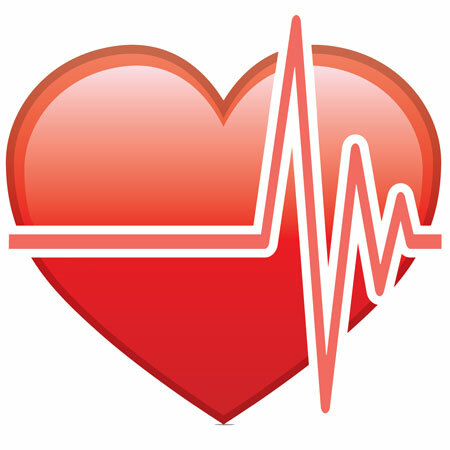 Also known as cardiac arrhythmia, dysrhythmia refers to an irregular heart beat. This is a common condition and may be triggered by various factors, including lifestyle choices, hormonal imbalances or underlying health problems associated with the heart. Exercise, stress, smoking, caffeine and excessive intake of alcohol can affect the electrical impulses that coordinate normal heart function. So too can an under- or overactive thyroid gland. A more serious cause of dysrhythmia is heart disease, with abnormal heart valve function, heart failure or coronary artery disease. These conditions require immediate medical intervention. Treatment depends on the type and severity of the condition, and may range from medication to surgically implanted medical devices or bypass surgery. In South Africa, cardiac arrhythmia that's diagnosed as life-threatening is one of 270 conditions eligible for Prescribed Minimum Benefits (PMBs). This means that all medical aid schemes in South Africa are required to cover the cost of diagnosis, treatment and on-going care of members with dysrhythmia that's diagnosed as life-threatening. Once the underlying cause has been identified, the appropriate treatment protocol – pacemaker, cardiac defibrillation or bypass surgery – is chosen. For members of medical aid schemes, the costs of the treatment will be paid for from risk rather than personal savings. Dysrhythmia is also classified as a chronic disease list condition and so qualifies for mandatory chronic medication benefits. To cap costs associated with PMBs, South African medical aid schemes are permitted to insist that members use service providers they designate. They also cover only medications on formularies, or medicine lists, they've designed. To qualify for benefits, members usually have to register with the appropriate disease management programme and request pre-authorisation for doctor and specialist consultations, tests, medication and procedures. Although all members are guaranteed basic cover, more expensive comprehensive medical aid plans have significant advantages for those with PMB conditions such as dysrhythmia. High-end options usually offer freedom to choose health care providers, hospitals and pharmacies. In addition, formularies are more extensive and include branded, rather than only generic, medicine classes. There may also be a range of benefits above and beyond the PMBs. Entry-level options, by comparison, cover only the cost of tests and procedures conducted by network GPs and specialists, at state or network hospitals or clinics. Benefits don't exceed the PMBs, and members are limited to restricted formularies, typically comprising a limited selection of lower-cost generic medicines. Not all schemes offer the same benefits. Large, open medical aid schemes such as Discovery Health, Liberty Medical Scheme and Fedhealth are known for providing benefits that far surpass state-enforced PMBs. Your choice of option or plan is also vital because this will help determine your medical aid cover for dysrhythmia. For expert advice on the best possible medical aid for your needs, contact an IFC consultant today.